The first album you release sets up the rest of your career, and it can help you gain a lot of fans... if it's any good. Timing the release is important, because if it comes too early, not enough people will know who you are, but if you make people wait too long, the perfect moment might have passed you by. 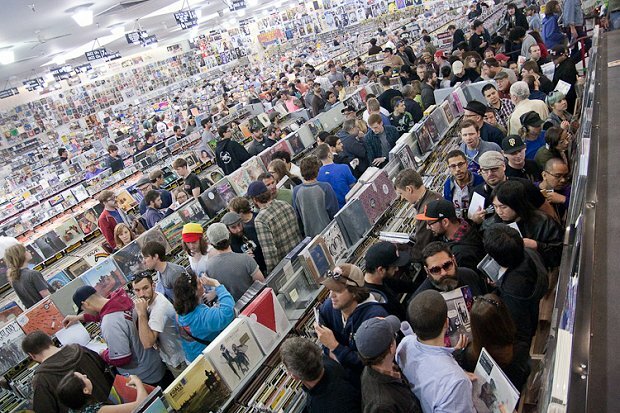 Here are five signs that it's the perfect time to release your debut album. These days, it's not just about having a lot of followers or friends on platforms like Instagram, Facebook, and Twitter – it's about the engagement. What good are 100,000 followers on something if they don't ever interact with you? If you tweet something to a million people but none of them favorite, retweet, or respond to it, did you really tweet it at all? If your engagement is strong, it shows that not only are you rocking this whole social media thing, but that there are people out there who really care about you and your music. Everybody thinks that more is better, but when it comes to success with fans online, it's really about having a core group that's interacting with you regularly. If you have that, it’s probably a good time to think about releasing something that your fans can get behind (and hopefully buy). Developing a fanbase is tough, and it happens at different paces for different artists. It's unlikely that you'll sell many tickets to your first several concerts, but after a while, the passes might start moving at a healthy pace when people see your name on the bill. If your fans are willing to spend money on seeing you live (and especially if many people are doing so several times), it shows that they enjoy your music, and that they want to hear it in recorded form. Continue to play live, but don't wait too long to release something that people can actually take home from one of your many excellent shows. Sure, you want to sell millions of albums, but that's becoming less and less likely in today's changing music industry landscape. Even the biggest stars can't move copies like they used to, so keep that in mind as you get ready to release your first album. A better indicator of how much your music is actually being listened to is by examining data from streaming platforms and sites where fans can listen to you. Many of these companies offer some kind of analytics, so look into what the service – be it YouTube, Pandora, or Spotify – has for you to use. Also, if getting to the data proves to be pretty difficult, just look at your numbers and track them yourself! Are your songs getting ten plays a day or a thousand? If your music is doing well – and if the rate at which your figures are increasing is itself increasing – that's a good sign that interest is high, and you might want to put something out. Have you been promoting singles or maybe an EP for three years now with no full-length album? How long do you really expect people to wait around in a world where new acts are popping up all the time? While we may know that producing music and getting an album out there can be a lot of work and can come at a high cost, that doesn't really mean a whole lot to fans who have been waiting. People do understand that there has to be some time between albums or before a full-length debut, but it's tough for them to accept a huge gap, even if you can explain it. If music is what you plan to do with your life, you're going to have to work hard, and that might mean churning out music at a faster rate than you expected. Basically, if it's been a long time, and your fans have been asking for new music, get on it. This is a big one, and it requires some planning. As I mentioned, fans don't usually mind waiting for something like an album, but it's all about managing expectations. If an album is taking a long time to record, let people know that it's coming along slowly. There's nothing worse than announcing to your followers that you expect the album really soon, only to keep them waiting for a long time. Every time your album's release date gets pushed back, fans are likely to be upset, even if it's only for a short period of time. Acts who say a record will be out in the fall and then have to hold onto it for a year or so are in trouble of losing the fans who have been there from the beginning, and that can hurt the album's chance when it finally does drop.